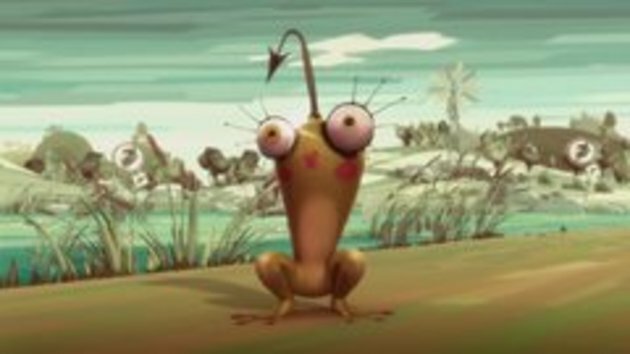 Flat Frog is based on the misadventures of two rustic frogs that are always anxious to cross the road in search of females. Ever the ignorant optimists, the two rubes manage to get run over again and again out on the road but this never seems to dampen their enthusiasm or their certainty that a bevy of beautiful young female frogs is always just around the corner awaiting them. hahaha lol i have tattoos too - under my foot xD awesome. hmm... nice toads.. wait, what ? 2:31 what she was doing there?!! I think she get excited because of ring! Haha ! Great movie upload Manro !! #5 , yeah her little toad-heart stopped beating !! Started out good so I was expecting more. What happen?